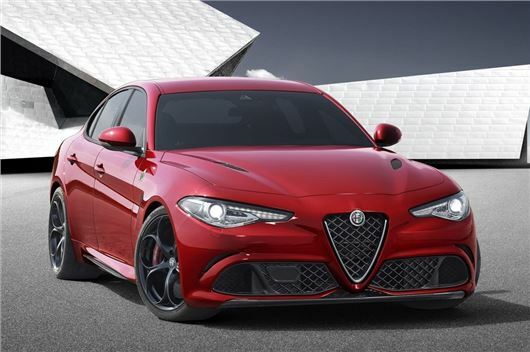 Alfa Romeo has revealed the long-awaited replacement for the 159 - the Giulia. The Italian brand is hoping to rival the likes of the BMW 3 Series and Jaguar XE with the new Giulia which goes on sale in spring 2016. Prices have yet to be announced but expect it to cost from around £22,000. There are no details on engines as yet, but we know the Giulia will come with new diesel engines while the petrol range will include the 1750 TBi that powers the 4C. Under the skin there's new front and rear suspension, a 'semi-virtual steering' system plus electronically-controlled adaptive dampers. Unlike the 159, the Giulia is rear-wheel drive which should help it offer impressive handling and agility. With a long wheelbase, it should also be practical and comfortable - key features if Alfa wants to compete with the best compact executive cars. A more rigid body structure ensure better refinement while weight has been kept down thanks to the use of aluminium in the body plus carbon fibre in components like the bonnet, roof and seat frames. All-wheel drive will be available on certain models plus there will be a high performance Quadrifoglio version powered by a Ferrari-sourced 3.0-litre bi-turbo V6 engine producing an immense 510PS which will give it a 0-62mph time of just 3.9 seconds. The Giulia is the start of a raft of new models from Alfa Romeo which will include its first SUV, rumoured to be similar in size to a BMW X3 and developed using a Jeep platform.